The Hill Company is proud to offer high-quality RECO USA generators. Indirect Fired Steam Generators use available plant steam or boiler water as the energy source to produce “clean” steam for humidification and sterilization needs. Typically used in hospitals, medical centers, laboratories pharmaceutical plants, electronics, food processing plants and other facilities with high temperature boiler water needing sterilized steam. 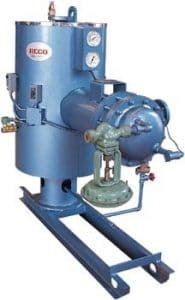 In the past, boiler steam was used for humidification purposes, but boiler steam contains chemicals and additives which may be injurious to health. Many jurisdictions now require a clean steam source for humidification. Unfired Steam Generators are completely packaged and ready for use. All components are mounted and piped prior to shipment requiring only connection to services. (Courtesy RECO USA) Call us today or visit Reco USA for more information. When you think of steam & boiler water heaters, you probably think of a large piece of equipment that requires a lot of space – especially for high-demand applications. The Thermodyne HX series of custom engineered Indirect Fired semi-instantaneous hot water heaters are the first choice where high recovery capacity is required and space is limited. Excellent for continuous high demand and high peak hot water loads experienced in hospitals and university dormitories. 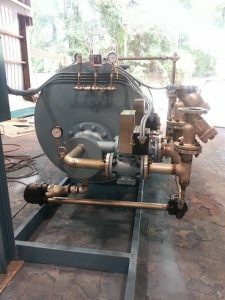 The units are customer engineered using steam, boiler water or HTHW as the heating medium. The vertical configuration requires less than four feet of floor space and horizontal configurations with rack-mounted stands are also available. We’ll create the perfect fit for any mechanical room. Courtesy RECO USA. 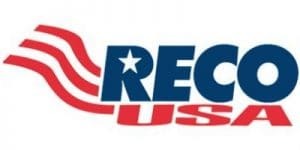 Call today or visit RECO USA for more information. Thermo-Dyne® heaters provide a complete, factory packaged ready to install hot water heating system with a wide selection of temperature ranges and are available with double wall construction. Copper Alloy construction designed with an “SE” Series of copper sheathed heating elements that are computer selected to insure proper velocity and pressure drops throughout the heating cycle for top efficiency. A basic principle of the Therymo-Dyne® heater is to enable quick recovery requiring less storage capacity. The cold water inlet is located in the element neck, sending cold water directly over the copper sheath enclosed heating tubes with segmented baffles enabling maximum heat recovery. The heater is controlled by an air, pilot or electrically operated temperature regulator. Featuring an integral circulation loop with copper piping and an in-line circulating pump that balances and reduces peak steam demands during peak loads. Due to it’s quick recovery capabilities and limited need for hot water storage capacity the Therymo-Dyne® heater is a compact square footage space saver with sizes ranging from 16″ dia. x 22″ high to 24″ dia. x 39″ high.